Ntc Mobile Subscribers can make calls at discounted rates to 5 numbers, be it GSM mobile or CDMA phone or landline. Ntc dubs it as FNF service (friends and family service). This post includes how to activate / subscribe Ntc FNF service for discounted call rate to 5 numbers. After the integration of the billing system for all of mobile services, the process is the same for all GSM and CDMA subscribers. The FNF in Ntc, is only available for the mobile numbers of GSM, CDMA prepaid and postpaid. But you can make discounted calls to their landline phones as well. Still there are people who don’t know about it and could not use this very special offer. As there are people asking us about the procedure and the price, we are here to provide the Ntc FNF details. The discounted call rate is at 70 paisa for Prepaid and 55 paisa for Post paid user (both GSM and CDMA). It won’t incur any activation charges to the subscriber. How to activate / subscribe FNF in Ntc? Three methods. 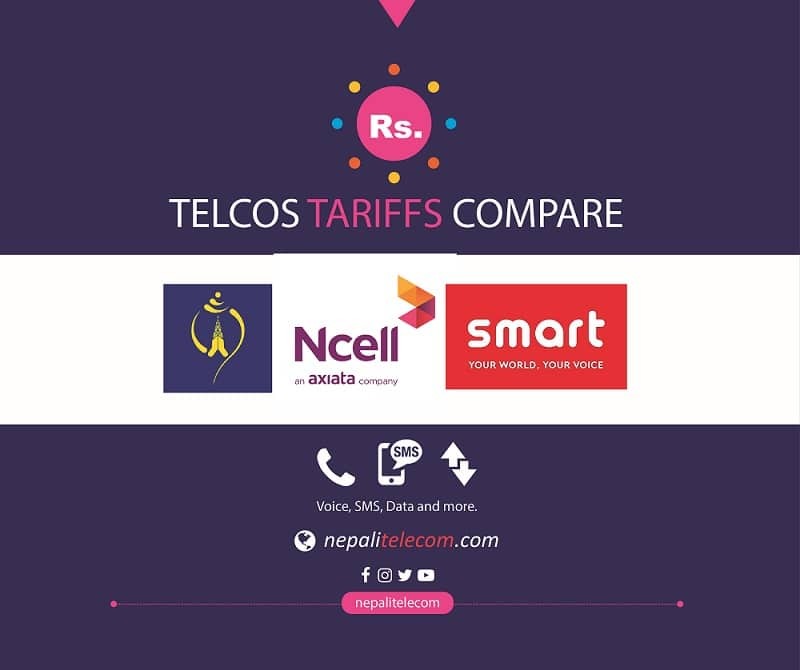 Here are the three methods to activate the discounted rate (FNF service) in Nepal Telecom (Ntc). a message with text “FNFSUB*MDN” to 1415. MDN is the NT number that you want to add it for the discounted call. To add other 4 numbers, you need to send a text “FNFADD*MDN” to add the NT numbers for discounted calls one at a time, so you have to send 4 text messages with 4 more different numbers that you want to add for FNF. For GSM prepaid and postpaid, there is an another procedure for it from USSD service. You need to dial *1415# and select the respective inside for FNF subscription. Sometimes it is inside regular packs (4) and sometimes it is in the first page. Please have a search inside it for the FNF subscription. to the Ntc official app to activate the FNF service from there through friends and families tab. For a dual SIM phone, make sure NT GSM SIM is in the first slot.